​"Esther" wins the 2017 Bridport Prize for fiction. "Technically so accomplished, but playful too in its form and its long sentences. It plays with plot more than most stories, but the work of plotting is done so slyly it is almost invisible. There are many details, but none are extraneous. It has real humanity to it, and a tremendous cumulative power, conjuring the lives of its protagonists in a handful of pages, allowing us to live beside them for years, and ensuring that the final emotional pay-off…again played out over a single long sentence…is utterly devastating. 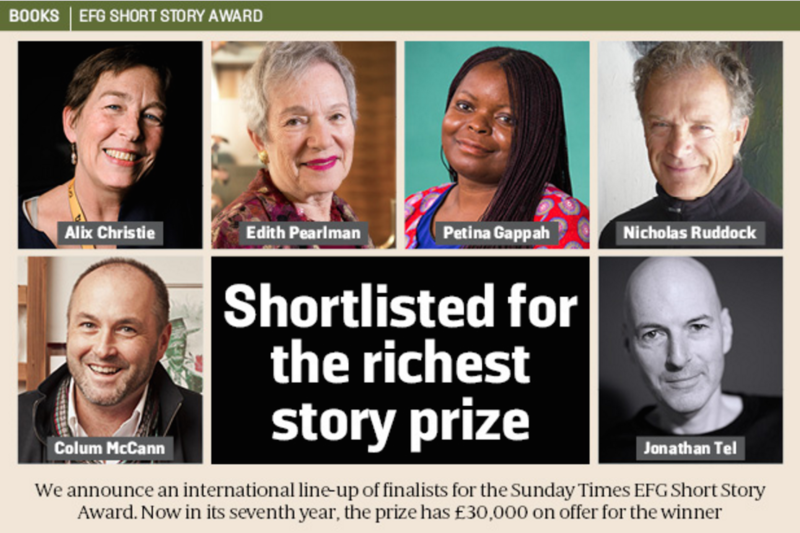 Shortlisted for the EFG Short Story Award for "The Phosphorescence"